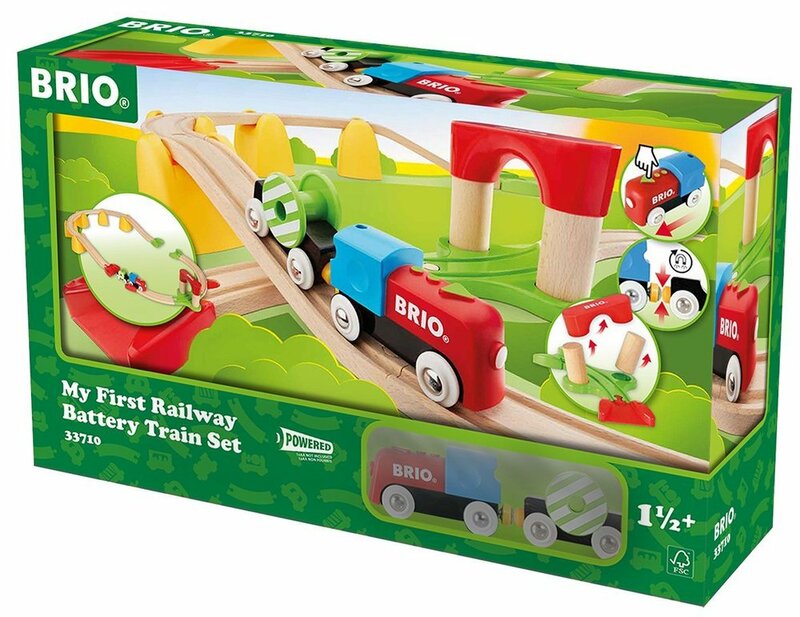 BRIO My first battery operated train set. Simple operation for little ones pressing the arrow on the top to start and stop! 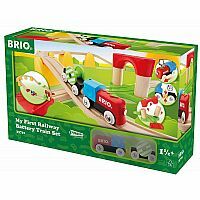 Complete layout measures approximately 27.75" x 19"